Do you dream of bareboat chartering a new beautiful power yacht in the Caribbean or reaching south to Mexico and beyond aboard your own voyaging yacht? Since 1989, it’s been a reality for many of our students and it can be a reality for you too when you learn powerboating from our experienced Certified Powerboating Instructors. Our powerboating program is designed for those that are seeking the skills required to Bareboat Charter from an international company such as The Moorings or Sunsail; or are interested in private yacht ownership. Through our private powerboating program, you can become certified in yacht operation and expand your own boating experience. Our professional coaches are USCG licensed Yachtmasters and certified powerboating instructors. We’ve all been to many charter bases around the world, both professionally and as customers. We can tell you firsthand about different locations and fleets around the world and help plan your dream bareboat charter, or give unbiased advice on acquiring a family yacht. Whether driving or flying, we are conveniently located near Lindberg Field Airport and most major freeways. Have an UBER account? We are an EASY UBER RIDE to and from the many attractions that San Diego has to offer. Upon arrival, you’ll board one of our beautiful twin screw powerboats. 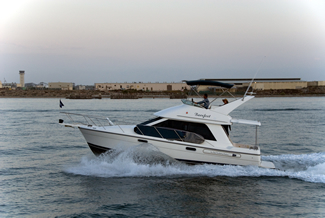 All are special editions, specifically purchased and outfitted to teach the art of twin screw yacht operation. 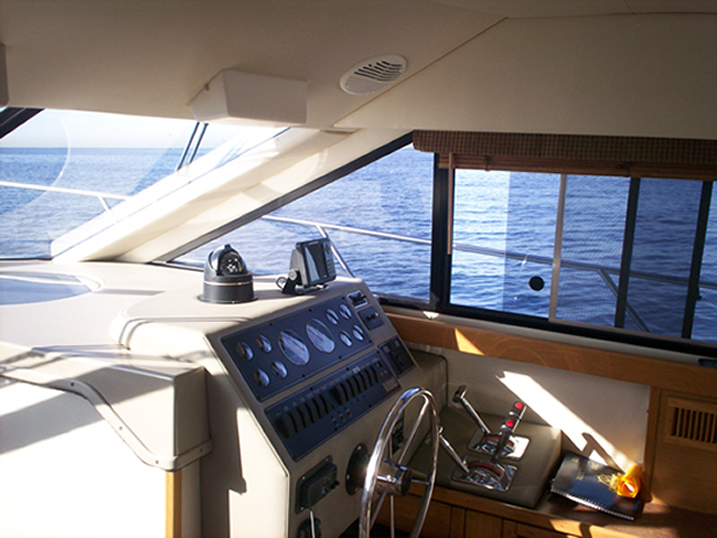 All of our yachts are equipped with all the gear cruisers need to prepare for chartering, including generators, windlasses, refrigeration, freezers, custom navigation computers, GPS, charts, navigation tools, stoves, dinghies and BBQ's. There are also full linens and towels aboard for your comfort. Just show up and get hands on experience. Unlike most other schools, our private classes do not exceed two students. After docking each evening, your instructor departs the boat and students may stay aboard to begin experiencing the fun, privacy, and thrill of life on a yacht. The 7-day combination package 101/103/104 Basic Powerboating/Coastal Cruising/Bareboat Chartering Certification is our most popular program. 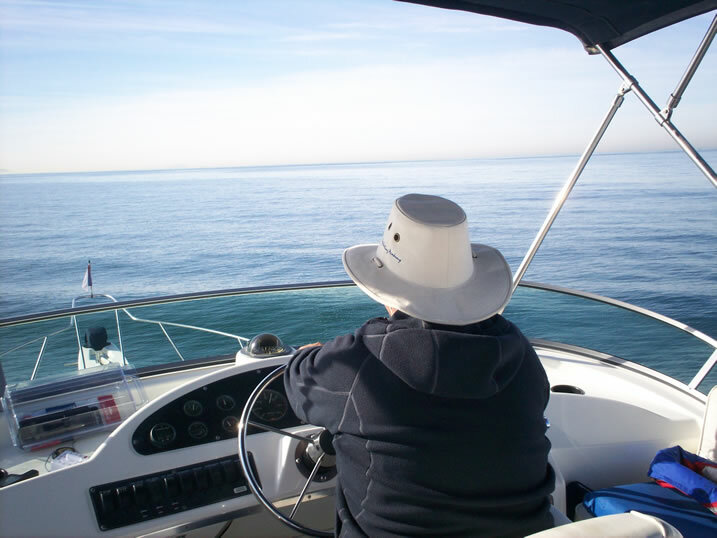 A typical day might begin with hands on maneuvering, or you may set a course for South San Diego Bay where a variety of destinations including Glorrietta Bay are located. 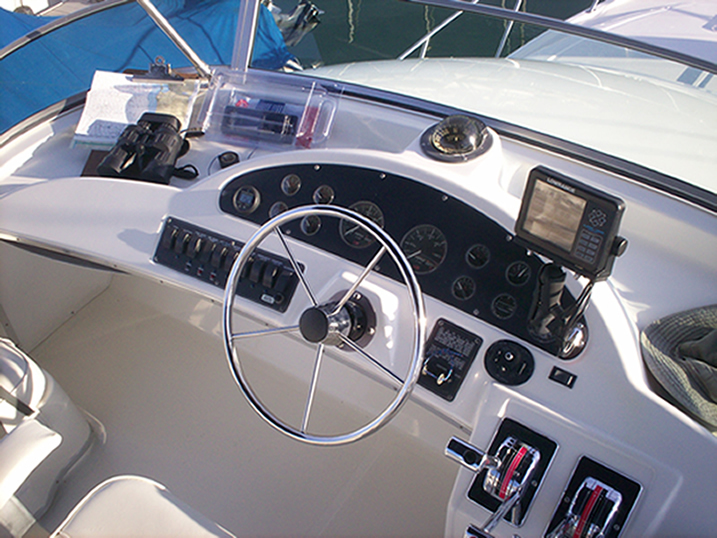 You will learn new skills like piloting and operating a yacht using the chart, the buoys, and the hand-bearing compass. You'll get practice at steering in waves and backing into tight slips. Man overboard recovery, and anchoring are all taught in this class. Students will practice planning a trip on the spot with various wind and tide conditions, and pick the best locations for the day. Late in the afternoon, students will dock and the instructor departs the boat. At the end of this class the students get to bareboat on their own for 2 days. You’ll leave with your Bareboat Chartering Certification, 2 days of logged time and a confidence that can only be gained through experience. TWO (2) STUDENTS AND PRIVATE LIVE-ABOARD PRIVILEGES! YES! These prices are for two people, NOT per Person! NOTE: FUEL NOW INCLUDED!! 5 days of instruction, followed by two beautiful days of solo bareboat powerboating. Professional deck-hands available. 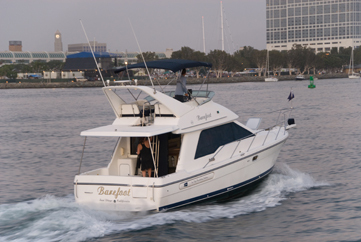 Bareboat Charters are equipped with twin inboards, generator, GPS, custom navigation computer, shore boat, BBQ grill and an awesome slip at the Kona Kai Marina.